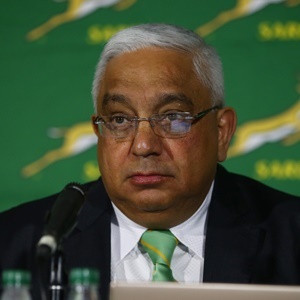 RWC 2023: Rugby Africa voted against SA! Cape Town - As South Africa wakes up to the realisation they won't be hosting the 2023 Rugby World Cup, the news that Rugby Africa's own two votes went to eventual winners, France, is an extra bitter pill to swallow. 12 countries and 6 confederations got to vote for the hosts of the 2023 World Cup. Each of the 12 countries either had 1, 2 or 3 votes dependent on their tier / stature in world rugby, while each of the 6 confederations had 2 votes. The total number of votes amounted to 39, making 20 votes the sought after magical majority number to be awarded the tournament. The three potential candidates - France, South Africa and Ireland - were not permitted a vote. In the first round of voting, France received 18 votes, South Africa 13 and Ireland 8. No country thus achieved an overall majority, meaning the lowest ranked contender (Ireland) were eliminated and a second round of voting took place. In that second round, France received 24 votes, while South Africa got 15. So, basically, 6 of Ireland's 8 votes went to France, while South Africa picked up the remaining 2. - Japan, who have a team (Sunwolves) in Super Rugby, voted for France. Ouch! - The two African confederation votes went to France. Double ouch! That last one will sting in particular, considering the fact the Africa confederation have their headquarters in the same building in Cape Town as SA Rugby! But is that surprising when one considers their president, Abdelaziz Bougja, is a French citizen of Moroccan descent, who has been living in France for 30 years ... ?